As in the name indicates, Best of Himachal package give you the best experiences of Himachal. Package covers 3 Nights in Shimla, 3 Nights in Manali, 2 Nights in Dharamshala and 3 Nights Dalhousie. Detailed Itinery as follows. 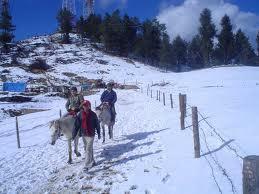 Tour Operators meet you at Delhi and they will take the arrangements to transfer you to Shimla. Delhi to Shimla journey is having around 343 kms or 8 hrs Drive. The most attracting place Shimla is the capital of himachal. On the way to Shimla you can enjoy the fantastic nature of Himalaya. It will be a rare experience.After reaching Shimla, You can chech in hotel, Dinner and overnight stay arrangements are there in the hotel at Shimla. After the morning breakfast, you may get time to relax yourself within this hotel. Afternoon, tour operators arrange half day city tour. 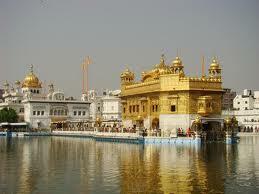 This city tour includes visit at Indian Institute Of Advanced Studies, Sankat Mochan Temple and Jakhu Temple. After that in the evening you will be getting time for Shopping in major malls of Shimla Town. Dinner and Overnight stay at the hotel. Early morning after breakfast get ready for the visit to Kufri. It may take One hour journey from Shimla. Kufri situated at an altitude of 2500 meters. In the evening, you can go for shopping and after that returned back to hotel. Dinner and over night stay there at Hotel. After early breakfast, Check out from the hotel and proceed to Manali. Shimla – Manali journey takes 8 hrs (320 kms). 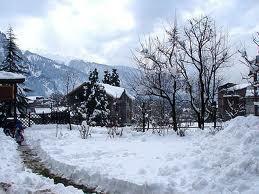 Manali is a wonderful hill station with full of snow mountains and beautiful water falls. After the arrival at Manali, check in at hotel. Dinner and overnight stay at Manali. After the morning breakfast get ready for city tour which includes Hadimba Devi Temple, Manu Temple, Tibetan Monastery and Vashisht Village. In the evening you may get time for shopping. Dinner and overnight stay at hotel. After the early morning break fast, you can proceed for the full day tour which includes Kothi Gorge, Marhi, Gulaba, Rohtang Pass (Place in himalaya having snow all 12 months) is the most visited tourist spot in Himalaya having snow round the year (Upto Snow Line in case Rohtang is closed due to snow fall) and Sollang Valley evening return to hotel . Dinner and Overnight stay at hotel. After the early morning breakfast, proceed drive to Dharamshala. Dharamshala is situated 240 Km away from Manali. This journey will takes nearly 7 hrs. Dharamshala is a peaceful tourist spot. Dinner and Overnight stay at Hotel. After the morning breakfast proceed for the sightseeing of Mcleodganj H. H. The Dalai Lama resides etc. Mcleodganj is a small bazaar having variety of Tibetan handicrafts and artifacts. At the end of the spur lies the Namgyal Monastery. With in the monastery having large idols of Buddha and charming church of St. John in the wilderness. Various ancient temples like Brijeshwari ,Jwalamukhi and Chamunda lied on the plains below Dharamshala. Dinner and Overnight stay at Hotel. After the the early breakfast from the hotel and check out from the hotel and then proceed a journey to Dalhousie which is situated 130 Km away from Dharamshala. Journey takes approximately 4 hrs. 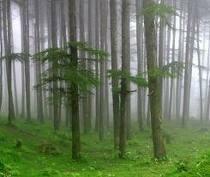 Dalhousie has awesome forests trails overlook vistas of wooded hills, waterfalls, spring and rivulets. Dalhousie still has a touch of the “Raj” and its colonial style buildings and houses. All these bring you back to the flavors of an earlier era. On the Arrival at Dalhousie, check in Hotel.Dinner and Overnight stay will be within the Hotel. After Breakfast go for sightseeing in Dalhousie. Dalhousie has a beautiful colonial architecture consists of beautiful churches. The spectacular snow-covered Dhauladhar mountains are also visible from this Dalhousie- an enchanting town. Dinner and overnight stay at Hotel. After the morning breakfast you can proceed to Khajjiar, India's Switzerland. Khajjiar attracts you with its fringes, the snow-line rests, thick forests of deodar climb the slopes. Khajjiar was a glacial bowl formed during the last Himalayan ice age and left with a lake that gradually withered away. Khajjiar is part of the notified Kalatop - Khajjiar sanctuary. After the visit, you can proceed to Chamba, right bank of the river Ravi. It is known for its splendid architecture.Dinner and overnight stay at hotel. 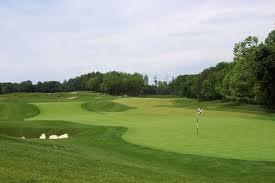 After breakfast check out from the hotel and tour operator transfer you to Delhi. It is around 590 K M, 10 hrs journey. Transportation using Non Ac car(Indica) with all parking charges etc. Lunch, telephone, Entry ticket any, laundray, or anything which is not mentioned above.